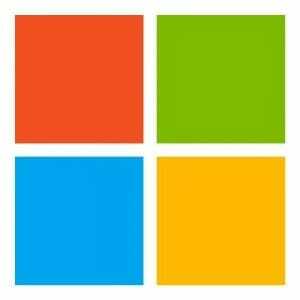 The Acumen IT Support blog provides you with helpful articles about Microsoft software and server solutions. Here at Acumen Consulting, our technicians are finding and solving problems on a daily basis, and this week, the issue was with MS Office. 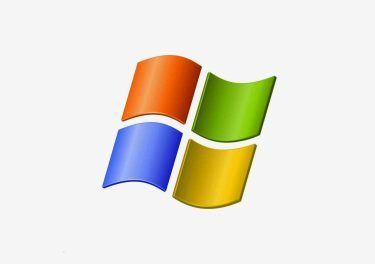 Recently, one of our Network Administration technicians came across an issue with opening Microsoft Word and Excel files. While he was able to open the files, they were taking more than one minute to access. MS Office, or Microsoft Word & Excel, files take more than one minute to open. 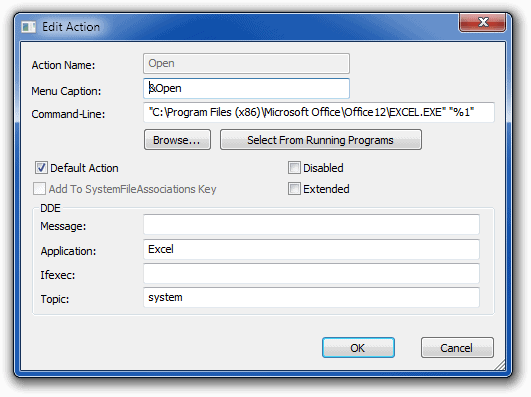 Details: If the Word or Excel application is opened first and the file is opened from File > Open, the files open immediately. The problem occurs whether the files are on the local hard drive or on the network server. Details: If the Word or Excel application is opened first and the file is opened from File > Open, the files open immediately. The problem occurs whether the files are on the local hard drive or on the network server. DO NOT reinstall Office, run SFC or Office repair, mess with the antivirus or permissions, examine the network, create a new user profile or reinstall the operating system. Download the NirSoft Files Types Manager from http://www.nirsoft.net/utils/file_types_manager.html. Scroll down to the bottom of the page and choose the 32 or 64-bit version based on the OS of the PC. Save this program for future use. Run this program as admin. There will be a new window with a list of File Extensions in the UPPER PANE. Scroll through the list and choose DOC. Highlight the file extension DOC. In the LOWER PANE, there’s a list of actions that can take place on this file extension, one of which is the default action of “Open” (&Open). "C:\Program Files (x86)\Microsoft Office\Root\Office16\WINWORD.EXE" /n /e "%1" /o "%u"
6. There is also a box titled DDE Message. This needs to be emptied. 6. There is also a box titled DDE Message. This needs to be emptied. Note: If you’re concerned, you can copy out the items you are changing before making any changes. DO NOT copy and paste Word text with quotes into an ASCII form. (This one is for Excel). 8. Right click on the word “Command” and choose “Rename.” Put an underscore in front of it so that you rename the key from command to_command. 9. 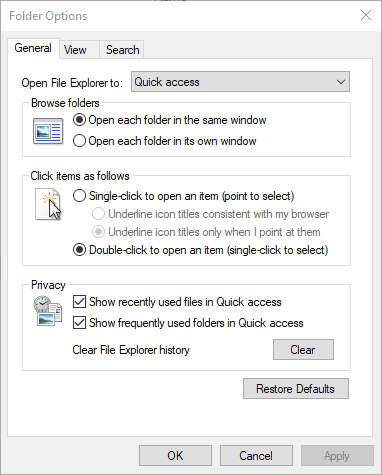 As soon as you perform these steps, you will be able to open the file immediately by double clicking its icon. 10. You must repeat this procedure for extensions DOC, DOCX, XLS and XLSX. For more information about Microsoft, check out our official partner page. Hosting email for multiple domains can be complicated. Especially when all the hosted companies have their own internal DNS servers. This morning we had a customer who was getting a certificate error complaining that the autodiscover.domain.com cert did not match the name it was looking for. After using the Exchange connectivity tool (Test Exchange) We verified that from the outside everythihttp://www.acumenitsupport.com/wp-content/uploads/2012/10/www.testexchangeconnectivity.comng looked good. Once we got into the customers’ internal DNS we found a wildcard record for their outside domain (domain.com, not domain.local) that pointed to their webserver. Once we deleted this and created a SRV record that pointed them in the right direction for _autodisover, Outlook ceased to complain about the certificate because everything matched. These sorts of issues can be the source of much wasted time and effort for an IT staff already overburdened with internal problems. At Acumen we deal with IT issues of this nature all the time and our technicians are available for consultation. Just give us a call at 314.333.3330 or check out our Contact Us Page. See our Exchange Hosting page for detailed information on our services. Give us a call and hopefully we can help solve your problem quickly and easily. Recently I switched away from folders to Outlook Categories 2010 because it gives me the ability to categorize a message multiple times rather than having copies of the same message in different folders. I then Grouped my Inbox by Category and then Received. My only problem with this system was the tendency of Outlook to expand all the categories if I went to another folder and returned to my Inbox. I found an easy solution! We teach all the Microsoft Office classes. For more information about our IT services, visit our Technology Page.